In 2016 Fruit for All came 2nd and were awarded £20,000 via Voice your Choice 2. 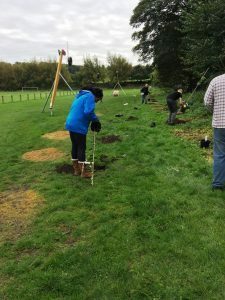 The group has planted 16 mini orchards across Rastrick (over 500 fruit trees and nearly 200 fruit bushes). The original submission for funds covered the cost of paying a contractor to undertake this work. However local schools and other groups assisted in planting up the orchards which saved on the expense of paying a contractor. As a result of this help, Fruit for All did not have to draw on all the funding awarded which has enabled Rastrick Big Local to use this on other projects. To find out more about Fruit for All, head to their website by clicking here.